Forest means a lot of different things to everyone, for me it’s a magical place full of life and different photo opportunities. It is a mysterious place where you can end up finding anything. For the last 4 years I have been focusing on capturing emotional and dreamy portraits of wildlife living close to my home or on the other side of the planet. My intentions are not to document their life, but more like to spend time there to get to know the animals and show what they feel and see. Capturing the emotions and trust in the pictures requires many days and weeks of work of researching their environment and habits without disturbing them nor baiting them. For me the animal is never just a random subject but a creature who's story I want to tell through the intimate portraits. Intimacy can be achieved only through trust. While the actual photo taking is a crucial part of the process the post processing is at least as important. To make the photo complete it requires a specific kind of edit bringing the moody and dreamy look and giving the subject all the attention it needs. 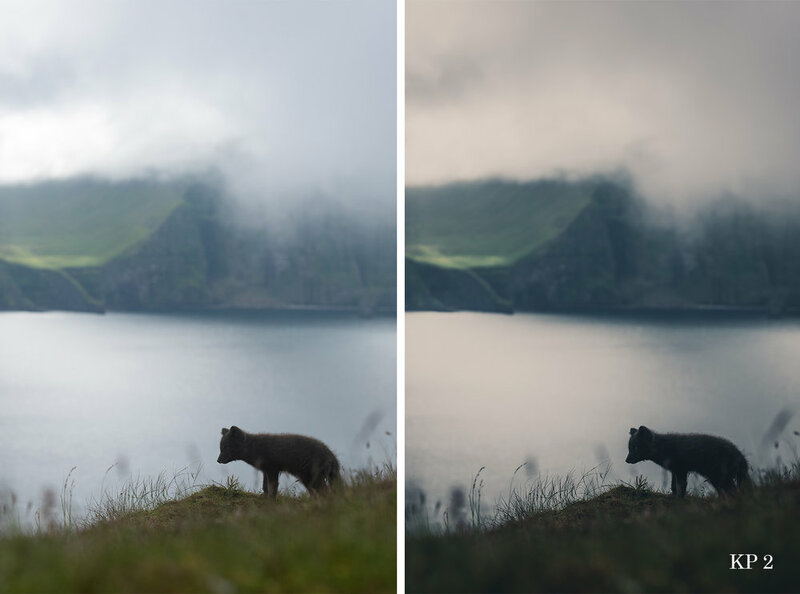 This pack is made of six different presets I use on a daily basis to achieve the certain look on my wildlife pictures. It has different color setups and lighting adjustments. I often use the same presets on my landscape pictures, but it works the best with wildlife portraits where the subject is in the middle of the picture. I suggest you to take a look how I have used the adjustments and in this way learn more about how each adjustment affects the photo and learn to improve your own style as well. 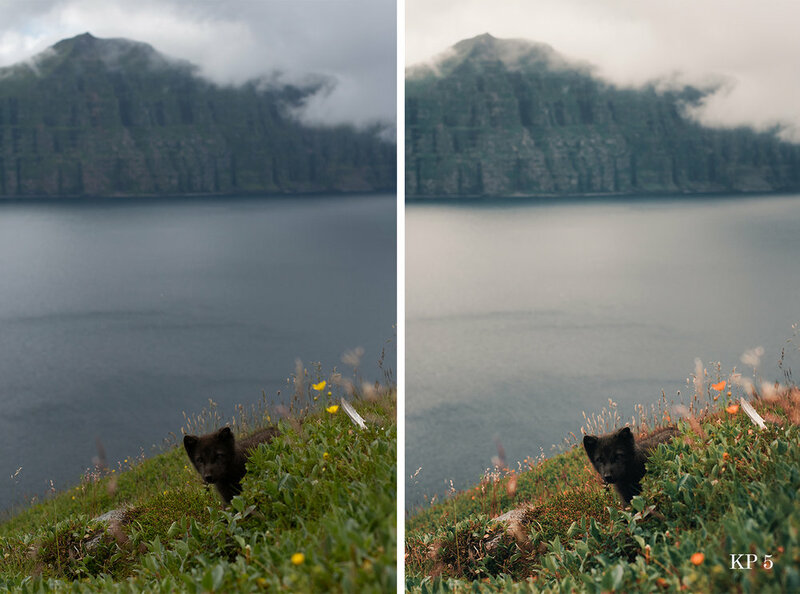 There are not many wildlife preset sets out there, so trough this pack you can learn how I edit my portrait work and you can improve your own style. This is the first time I'm giving out my editing secrets, so be sure to check it out. KP1 - My most used preset, it highlights the subject and brings up the colors nicely! KP4 - This preset tones are inspired from paintings, take the colors to next level!